The biggest hurdle to hooking up more batteries to the power grid (to store energy) has long been cost — batteries are just too expensive. But another real-world challenge is quietly emerging for solar installer SolarCity (s SCTY) as it’s been trying to ramp up sales of batteries, made by electric car maker Tesla, combined with solar panels: The utilities themselves. SolarCity says that its solar battery pilot program — which it has been working on since early 2012 — has managed to get around 500 customers in California (including Walmart) interested. But to date only a dozen of those customers have battery systems connected to the grid. That’s because California’s three large utilities are slowing down the connection process, requiring a series of applications, charging high fees for connecting batteries (in some cases close to $4,000 per customer), and just taking a very long time to connect the batteries to the grid, says SolarCity. As a result of the utility barriers, SolarCity has temporarily stopped submitting applications because, as a spokesman tells Businessweek, “We’ve lost faith that these things are actually going to be carried out in any reasonable time.” SolarCity has installed about 100 batteries in customers’ buildings. There’s a queue of customers in each IOU territory, and until those queues move, we’re not going to submit $800 application fees for more customers to enter the queue. We fully intend to continue the program and interconnect all customers under contract, it’s just a matter of the utilities helping to facilitate. Why would utilities stand in the way of batteries combined with solar panels? Well, they enable the customer to essentially go off-grid, generate their own power with solar panels and store that power to be used at night. The Rocky Mountain Institute released a report earlier this year that said that the combination of solar panels and batteries could be so transformational for how Americans use power that large chunks of the U.S. could defect from the grid by 2030, leading to an erosion of customers and revenue for utilities. 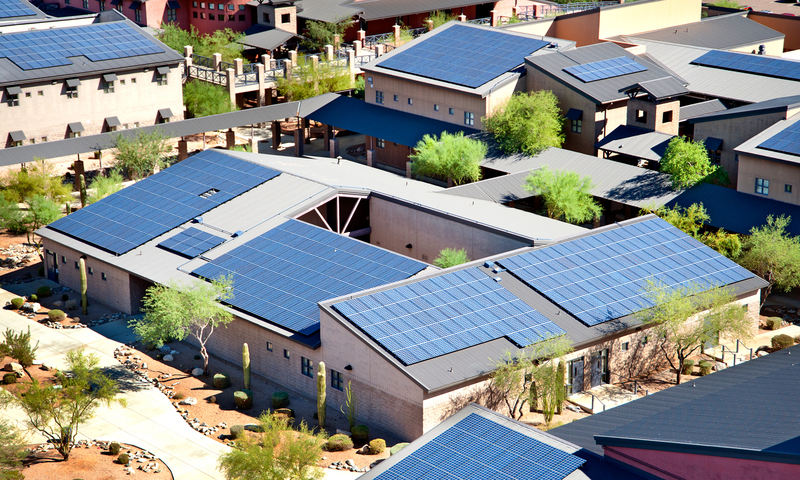 SolarCity claims the fees that utilities are charging customers for applications are illegal. PG&E tells the San Francisco Chronicle that it’s not delaying the process, but is taking some eight to ten weeks to inspect the systems before connecting them to the grid. The utility also says it won’t be rushed. Grid batteries won’t be going away any time soon. The market is just emerging and Tesla plans to build a massive battery factory in the U.S. that could cut the cost of making batteries by 30 percent. Tesla has said some of those batteries will be used for grid sales. Updated at 2:12pm March 20 to add a comment from SolarCity spokesperson Will Craven. Why is PG&E inspecting anything? When I hook up my house to PG&E, the county inspector comes out and inspects everything. PG&E just hooks up. They are not inspectors. They are not supposed to be in charge of any of this. In my case they were involved because they required a second meter, so they could independently measure pv production from electricity going to and coming from the grid. Before the battery installation I had one meter. Not to take away the difficulties that SolarCity faces, but I think it’s worth noting that the residential energy storage business isn’t attractive at this point. There aren’t incentives for homeowners to buy or lease it. So the fact that SolarCity isn’t submitting more applications may also have to do with the fact that it’s not signing up customers all that quickly. how much these batteries typically costs or lease out for ? Is there another supplier other than Solar city ? To put things into perspective, in Germany, a customer can usually call the utility and get a system approved in under 24 hours. $4000 might just buy enough batteries (~10kWh) to allow the cord to be cut completely.